Introduction: This article explores various issues of arbitration from a comparative perspective. It compares and contrasts jurisdictions in the East and the West, as well as those of a common law and civil law legal system. Eastern jurisdictions refer to prominent Asian jurisdictions such as China, Hong Kong, Singapore, Japan and Korea. The West refers to major Continental European jurisdictions such as France, Germany and Switzerland, and prominent common law jurisdictions such as the UK, the US, Australia and Canada. Three driving forces, as argued in this article, influence issues of arbitration in these jurisdictions. The first is the cultural differences between the West and the East. For example, the West generally values individualism over collectivism, while the East values the latter over the former. The differences in cultural values impact users’ perception of arbitration, which in turn affect their preferences and expectations of arbitration. Arbitration is said to be “a meeting point for different legal cultures”, and is a venue for convergence and interchange of practices.2 The second is the differences in the practice embedded in common law and civil law legal systems. For instance, influenced by legal education and training, counsel and arbitrators with a common law background are more accustomed to comprehensive rules, complicated procedures and various procedural safeguards that ensure due process and a higher degree of fairness compared to their civil law counterparts. The third is the traditions within the dispute resolution system, which includes the attitudes towards adopting mediation. Jurisdictions with a tradition of mediation prefer resolving disputes through harmonious means rather than putting the parties in adversarial positions. In these jurisdictions, mediation is preferred over both litigation and arbitration, and there are usually fewer concerns with the procedural safeguards for the hybrid practice of arbitration and mediation. 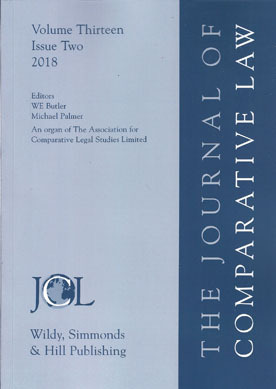 Adopting a comparative jurisprudential analysis which compares jurisdictions in the East and the West, and also common law and civil law jurisdictions, this article is organised as such: Part II discusses the definition of ADR, whether arbitration is a form of ADR, and how different jurisdictions have approached arbitration at the conceptual level. After that, Part III analyses arbitral tribunals from a comparative approach, covering the formation of tribunals and the impartiality and neutrality of arbitrators. Then, the degree of juridification of arbitration is explored in Part IV. Part V discusses dispute resolution traditions and the attitude towards med-arb in different jurisdictions. Finally, judicial attitude towards arbitration is evaluated from a comparative perspective under Part VI. The comparative analysis in each part of this article allows for a comprehensive examination of how the driving forces identified above contribute to the differences on various issues of arbitration.